During its second flyby of Mercury in the fall of 2008, Messenger sent back more than 1,200 images of the planet's surface , along with topographical information and data about its atmosphere and magnetic fields. "The region of Mercury's surface that we viewed at close range for the first time this month is bigger than the land area of South America," Solomon said after the second flyby. "When combined with data from our first flyby and from Mariner 10, our latest coverage means that we have now seen about 95% of the planet." 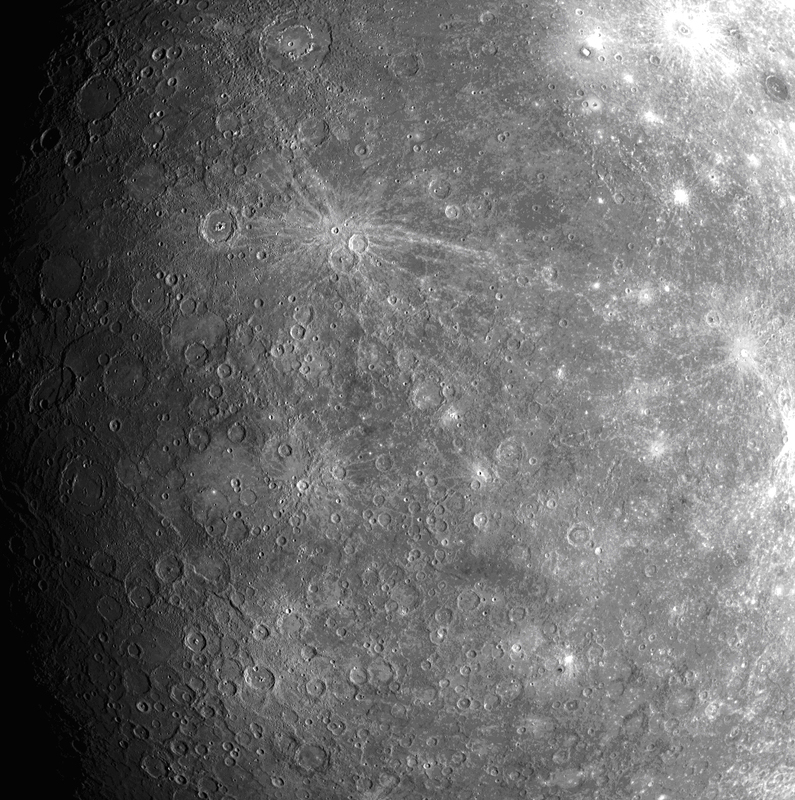 The scientists behind Messenger hope to take this latest mission several steps further. Data from Messenger will be collected by Deep Space Network antennas and transferred to the Mission Operations Center at the Johns Hopkins University Applied Physics Laboratory in Laurel, Md., where it will be analyzed. The Messenger uses two computer chips -- a 25 MHz main processor and a 10 MHz backup processor. The spacecraft, according to documents on NASA's Web site, includes a gamma ray and neutron spectrometer that is designed to map different elements and offer clues about the existence of ice at the planet's poles. A magnetometer attached to a nearly 12-foot boom will scan the planet for areas of magnetized rocks. Dual-imaging cameras, one with a wide-angle imager and one with a narrow-angle imager, will map the surface and give scientists a topographical view.